Have you tried and failed to overcome it with drugs or other therapies? Are you ready for an entirely original approach? Anxiety and depression are a fact of life for many. As the modern world becomes increasingly complex and ever more frantic, so our ability to cope comes under threat. 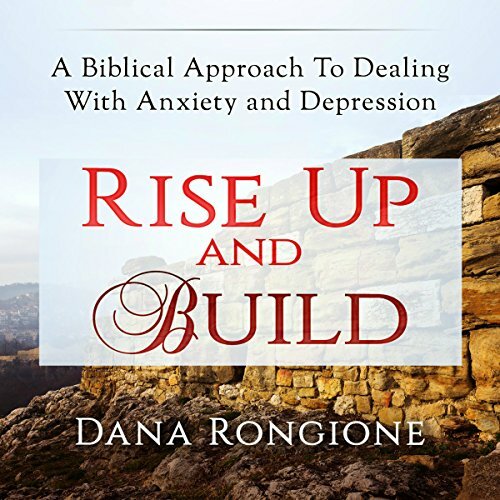 Rise Up and Build takes an alternative, yet effective look at the way to deal with depression and anxiety in your life. In it, the author guides you through the process of taking responsibility for your own pain and emotions. Utilizing the key verse of Proverbs 25:28 and the story of Nehemiah, you'll be enlightened about the struggle with anxiety and depression. In a refreshing twist, the author will not only show you what to do but will also explain how to accomplish each step along the way. By learning to protect your heart and accept responsibility, you'll be much closer to owning and conquering your depression and anxiety. Get your copy of Rise Up and Build today and discover how to build up the walls which will protect you forever.